All six people accused of murdering or helping to conceal the murder of eight family friends have pleaded not guilty to the charges. Nonetheless, prosecutors say they have evidence proving they engaged in detailed long-term planning to carry out the murders, which all occurred in a single night. WAVERLY, Ohio -- The fourth suspect accused of killing eight members of the Rhoden family in the Pike County massacre pleaded not guilty Tuesday. George "Billy" Wagner III, 47, is facing 22 charges, including eight counts of aggravated murder with death penalty specifications. He waived his right to a speedy trial and will be held without bond. 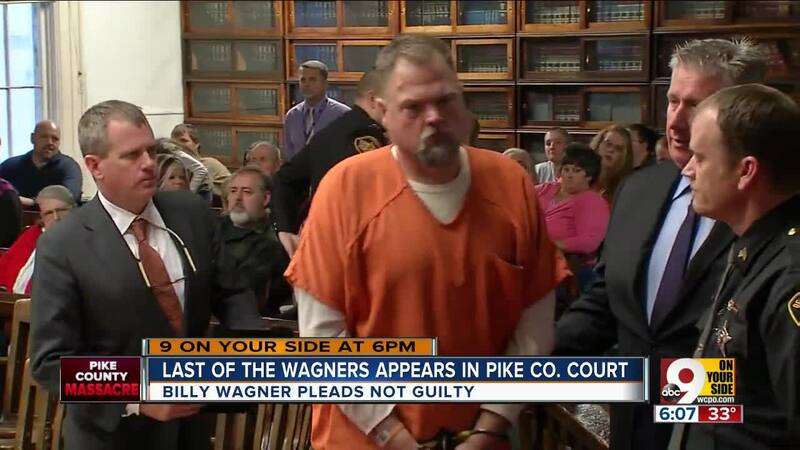 Wagner's next court date is scheduled for Jan. 17. 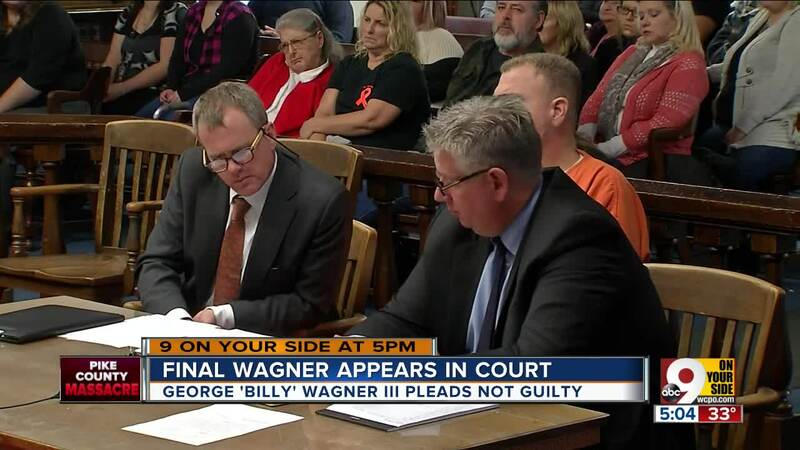 Authorities said that Wagner, along with his wife, Angela Wagner, and their two sons, George Wagner IV and Edward "Jake" Wagner, killed the eight victims on April 22, 2016 after months of planning. The three other members of the family have also pleaded not guilty and are being held without bond . The judge issued gag orders for law enforcement and others involved in the cases, preventing them from speaking about it publicly. Attorney General Mike DeWine, the governor-elect, previously said a custody dispute played a role in the plot. Two other family members, Rita Newcomb and Fredericka Wagner, pleaded not guilty earlier this month to charges that they helped cover up the crimes. They are being monitored on house arrest. Authorities arrested Billy Wagner in the Lexington, Kentucky, area on Nov. 13. He waived his right to an extradition hearing the next day and was returned to Ohio soon after.